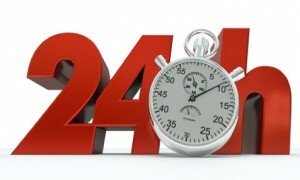 Emergency Glaziers Kingswood, Cheam Glass and The Window Man offer a 24 hour, 365 day emergency call out service for emergency glazing Kingswood, Emergency Boarding Up in Kingswood and Emergency Window Replacement in Kingswood, Surrey and all of the surrounding areas. Cheam Glass and The Window Man pride ourselves in offering a very high level of customer care and a first rate repair service to all our clients. Our emergency glaziers Kingswood have over 30 years of experience in the glazing industry, Cheam Glass is a professional company with highly trained fitters who comply with all the current British safety standards. We are also a Metropolitan Police approved company. Please call our emergency glaziers Kingswood number 020 8644 8502 for advice and emergency help. We repair and install glass units in uPVC, wooden and aluminium frames. Whether these are in residential or commercial properties, our prices are always competitive! Our glass replacement services offer value for money as well as security and peace of mind. Telephone us on 020 8644 8502 or click below to get a quote! Our glaziers repair single, double and triple glazing in windows, doors, conservatory roof panels and porches. These types of repair include replacement glazing due to breakage or misted up / failed window units. Why not have your existing units replaced with the latest energy saving glass? If you are experiencing a lot of condensation inside your windows and the glass unit is misting up we can help! Normally when double glazing fails it has lost the vacuum between the sheets of glass and moisture can get in. Over time the moisture will leave an inaccessible residue / tide marks that will prevent the window looking clean and clear. Once this has happened the glass unit needs replacing. We promise to offer excellent value for money no matter what type of glazing repair is undertaken. In the event of needing our emergency glaziers Kingswood service… CALL + QUOTE + BOARD-UP + PEACE OF MIND. We’re not here to sell you a new conservatory or porch – we’re here to repair or maintain it. Our conservatory and porch repair services include replacement glass (single, double and triple glazing), but also window locks, seals, roof panels, conservatory door repairs and of course the ever-present leak diagnosis and repair service! There isn’t much we don’t cover so do not be afraid to ask. For the areas that our services cover in and around Sutton, Surrey, and South London. Why not keep your frames and upgrade your glass to “K-Glass” – the latest in energy and money saving innovation whilst helping to lighten the load on the environment!